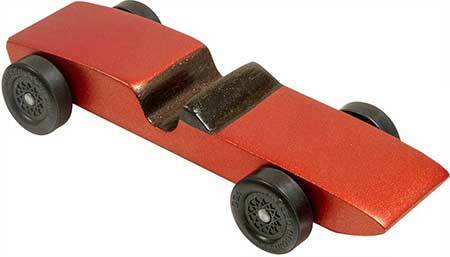 Our Sport Coupe pinewood derby car is ready to race. Metallic orange with bronze cockpit and black windshield. Uses the same parts that are in the official pinewood derby kit. Complete and ready to race.